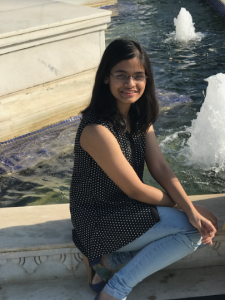 Rachana is pursuing her integrated Master’s course in IIITB and is a member of Web Sciences lab working under the project ‘Opinion Marketplace’ for Characterizing the online social cognition as a Marketplace of Opinions. She has worked on pre-processing the tweets, storing the terms of respective users, entropy calculation and prior calculation for each user, classifying the users into drivers or non-drivers and identifying a list of opinion drivers based on the prior and evidence value. She has also worked on developing a shiny web application for the project. Her area of interest is Data science.